Preheat oven to 400 degrees. Line a backing sheet with parchment paper or foil. Mix together the sugar and cinnamon in a small bowl. Set aside. Divide the appie pie filling between the 8 turnovers. Place pie filling in the corner of each square. Top with caramel and pecans. Sprinkle 2/3 of cinnamon and sugar mixture over the pie filling, reserving 1/3 of mixture for topping. Fold the pastry diagonally and crimp the edges with a fork. 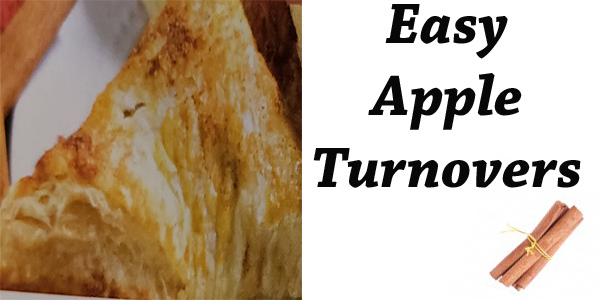 Brush the tops and edges of each turnover with egg wash, sprinkle with remaining sugar cinnamon mixture.